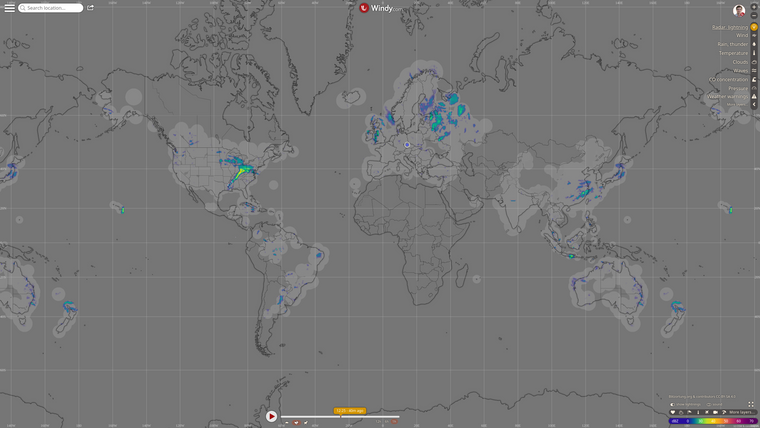 The Weather Radar Composite Is Growing Across Europe And the World! 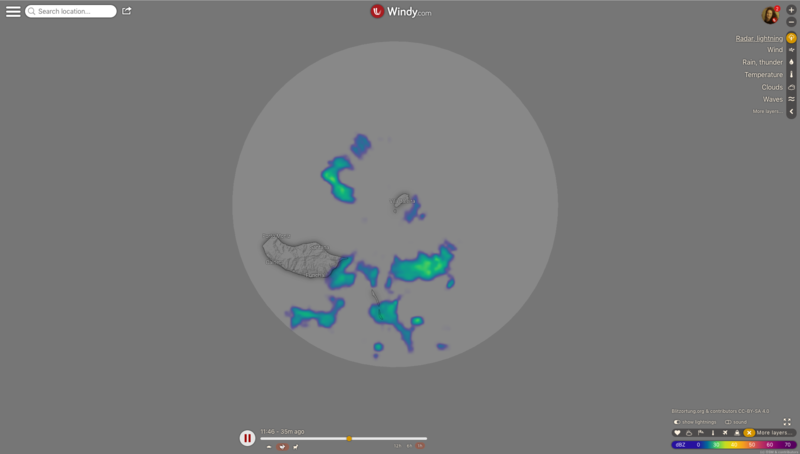 As we all know, one of the most popular features on Windy.com is the 'Radar, lightning' overlay. 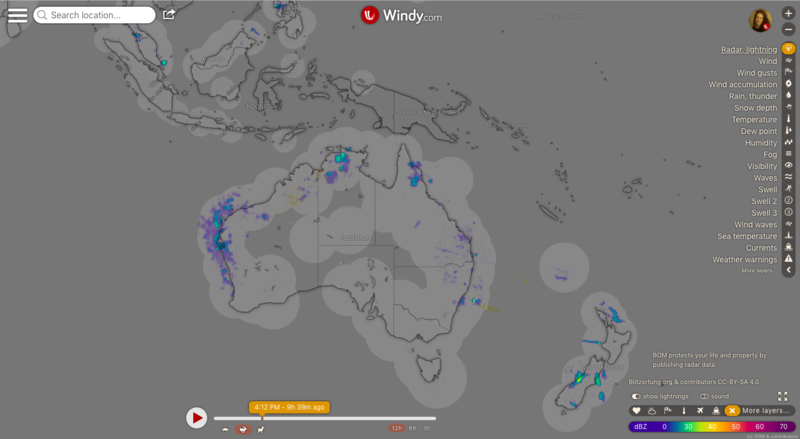 Weather radar, also called Doppler weather radar or Weather surveillance radar (WSR), is a reflectivity measurement device used to locate precipitation, calculate its motion, and estimate its type (rain, snow, hail etc.) or amount of predictable water in clouds. Returned echoes from targets ("reflectivity") are analyzed for their intensities to establish the precipitation rate in the scanned volume. 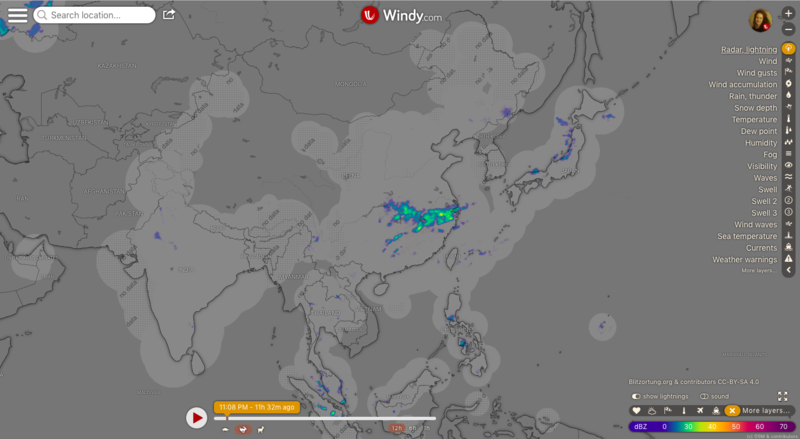 Initially, our radar layer was covering the USA (including Hawaii and coastal parts of Alaska), South Korea and a couple of islands in the North Pacific Ocean and the Caribbean. In June 2018, we added a number of European countries from Spain to Finland. 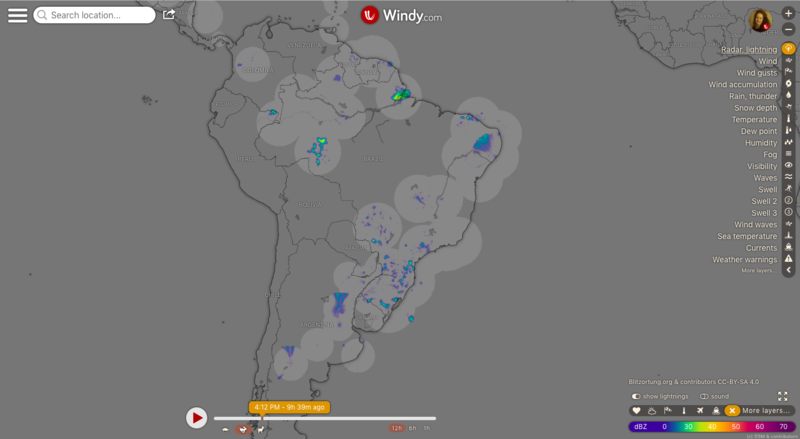 In August 2018, more and more weather radars in various countries were added: in southern part of Canada, in Caribbean, Colombia, Nicaragua, Argentina, Estonia, Italy and Greece. 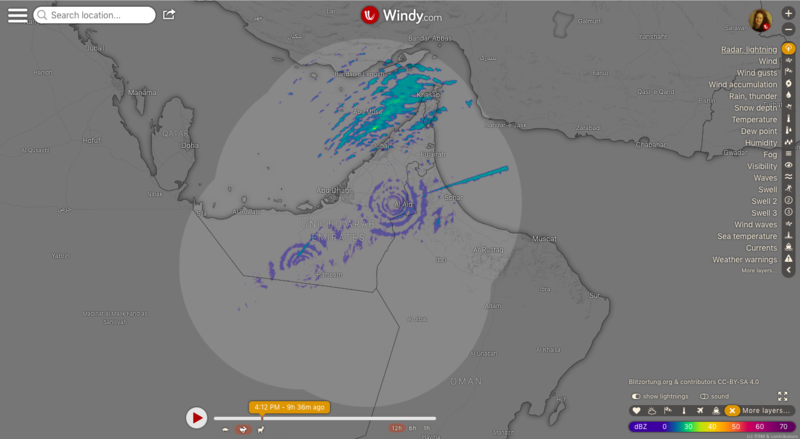 In September 2018, this feature reached a completely new level by adding new flashing icons representing real-time lightning strikes, and even thunder sound effect. 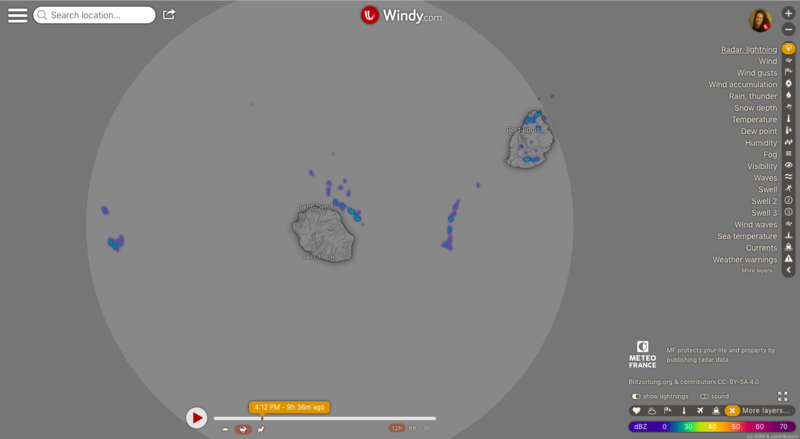 Therefore, this popular feature got a brand new name: "Radar, lightning". 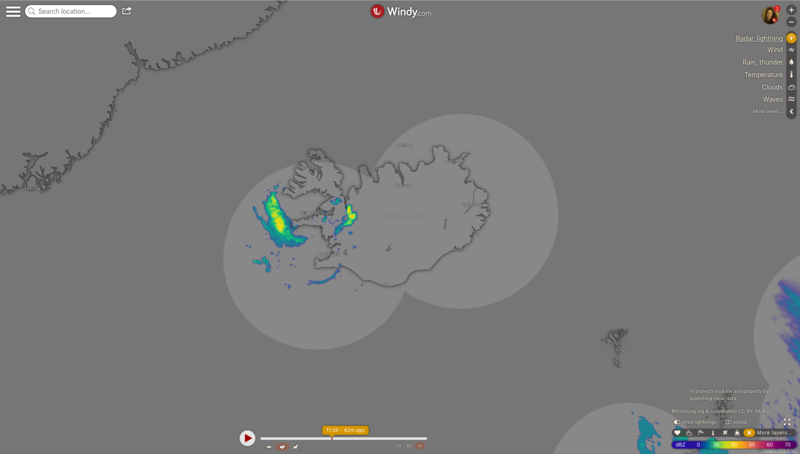 Please note: Although the weather radar and the lightning radiolocation are both integrated into one overlay, they work independently of each other; they have different data sources and a slightly different map coverage. However, on this feature, they share the timeline occurrence; you can display them together as an animation in the time course of 12 hours to 5 mins back in the past. Check the awesome video presentation above. 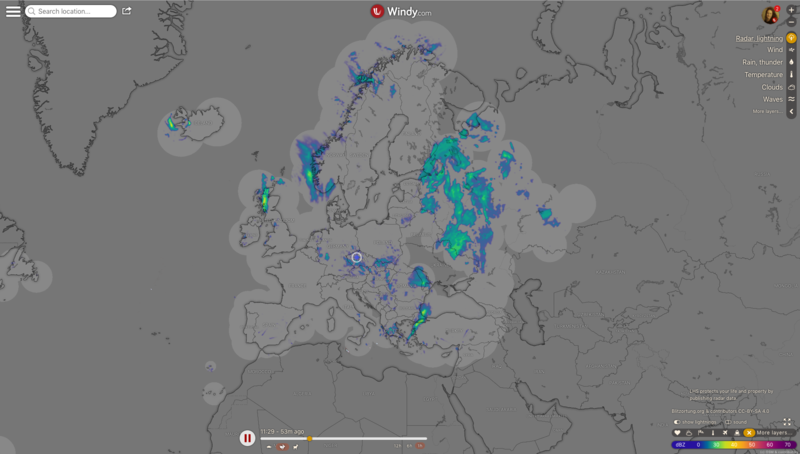 In February 2019, a number of new countries across Europe and the world were added into the weather radar composite, our main data source being RainViewer.com. @Tomber42 Of course ! I have exchanged a couple of emails with Oleksii already. He did a lot of hard work to cover such a huge area and is always very helpful. Plus his API is easy to use. 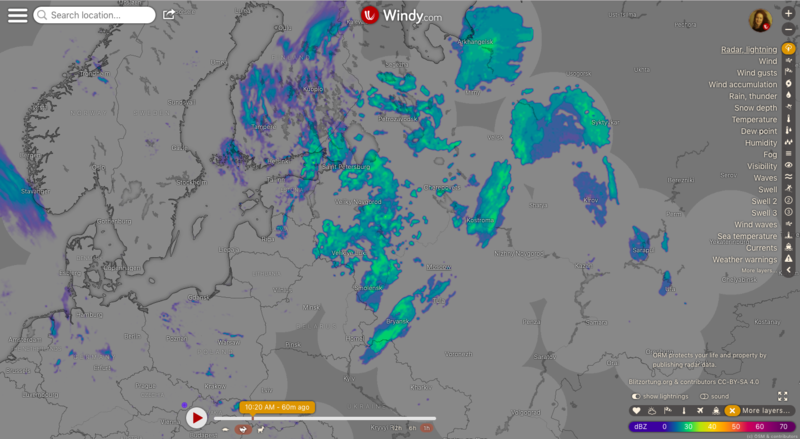 Hopefully next client version will display credit for Rainviewer.com (like Blitzortung.org for example). 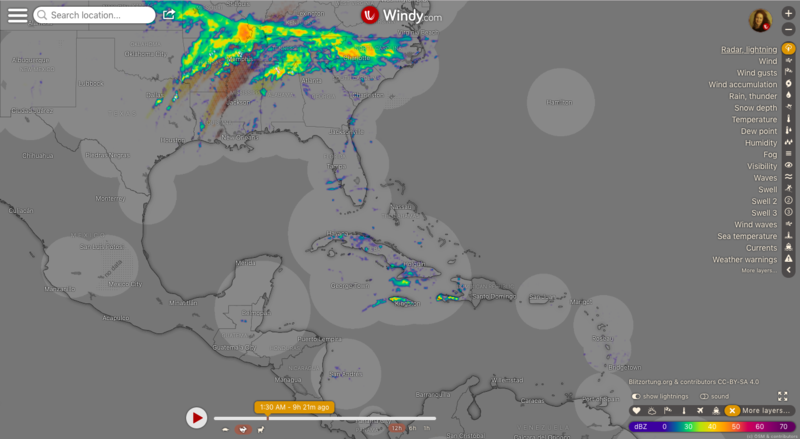 We still prefer our own handling of radar sources, especially raw data, but it's a huge amount of work. 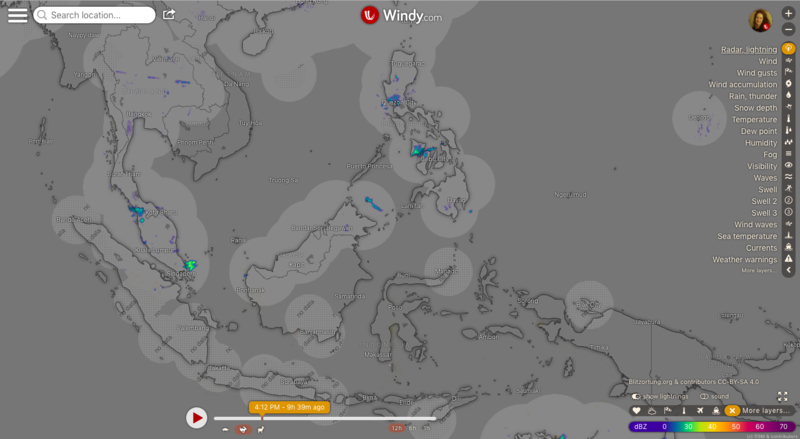 So Rainviewer at this moment covers the additional countries that were added in the past 2 weeks. Our original cover that has been here since last summer hasn't changed (USA + most of Europe).